perfect to be put at the entrance of your home. – Acts as a wall decor and enhances the beauty of your wall. 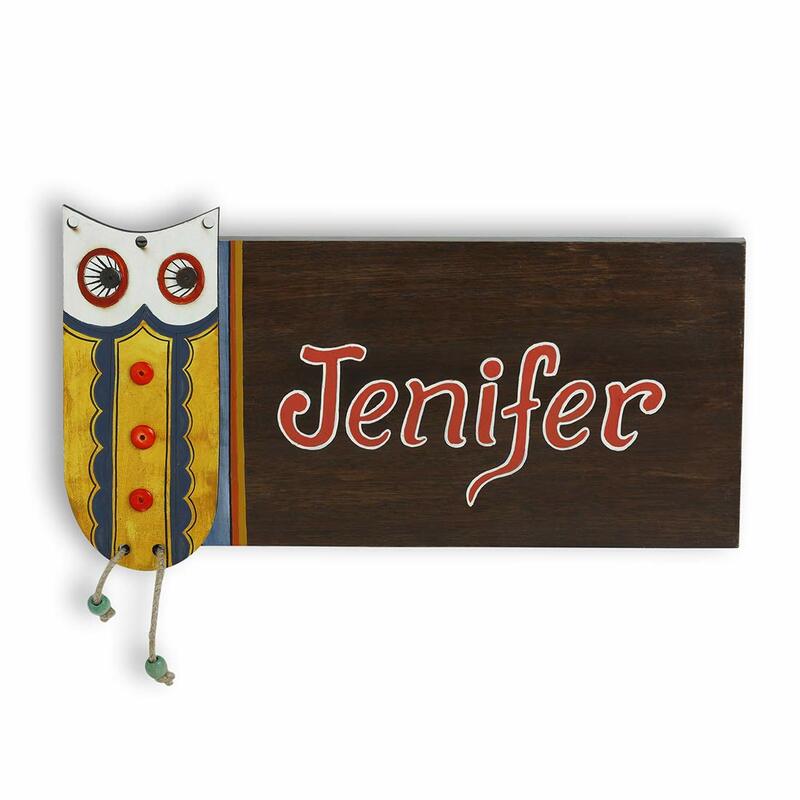 – The owl motif is handcrafted in wood with jute dori attached to the name plate. – The base is made of mango wood and owl motif in pine wood. – The base is handpainted in brown and owl motif in yellow and white. – Comes in 14.6″ (L), 1.0″ (W), 8.1″ (H) inches in size. 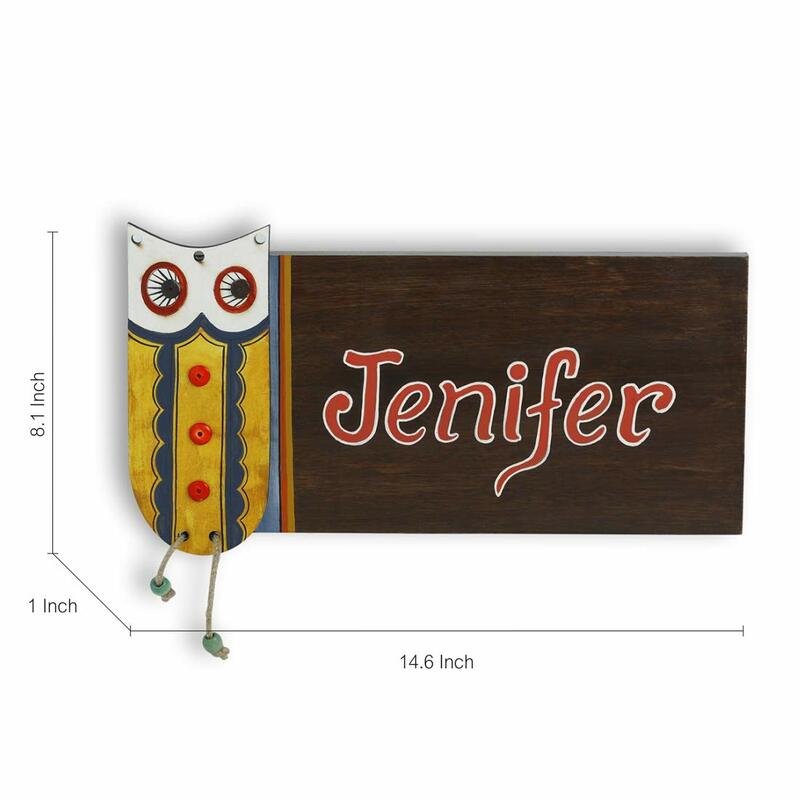 – Personalize your home entrance with this hand-written nameplate to create an impression. Art type : handpainted and handmade material : base: mango wood, owl motif: pine wood dimensions : (L * W * H) = (14.6 * 1.0 * 8.1) Inch color : base: brown, owl motif: yellow and white. As the font is hand-written there might be a slight variation in the font style. 2 You need to put nails to hang the name plate. It can accommodate around 6-8 characters depending upon the size and placement of the name. As this product is handcrafted there might be a slight color or design variation, which is natural and hence makes the product unique. Package content : 1 name plate.